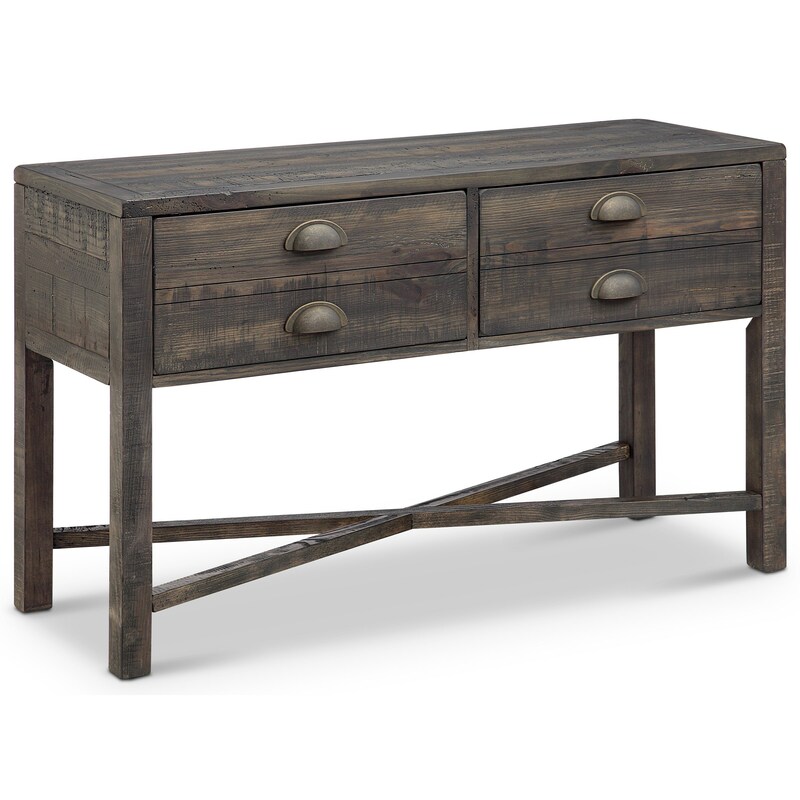 With two spacious drawers and a beautifully weathered bourbon finish, you'll love having this end table in your home. Furthermore, the burnished brass hardware, along with the "X" stretcher, adds a stylish yet subdued detail that rounds out the rustic look. The Vernon 2 Drawer Rectangular Sofa Table in Weathered Bourbon by Magnussen Home at Furniture Fair - North Carolina in the Jacksonville, Greenville, Goldsboro, New Bern, Rocky Mount, Wilmington NC area. Product availability may vary. Contact us for the most current availability on this product.